To find the best cat litter for indoor cats, I first needed to test it on my two cats. I live in an apartment and last year my friend gave me two of his cats to take care of. They were very shy and afraid when they got here but now they are happy and comfortable and feel very much at home in my little apartment. We’re the Best Indoor Cat Litter Testers! Now I’m not used to having cats who are indoors all the time but where I live they don’t allow outdoor cats. So, I had to figure how I can stand to live with two cats AND a litter box in the house. 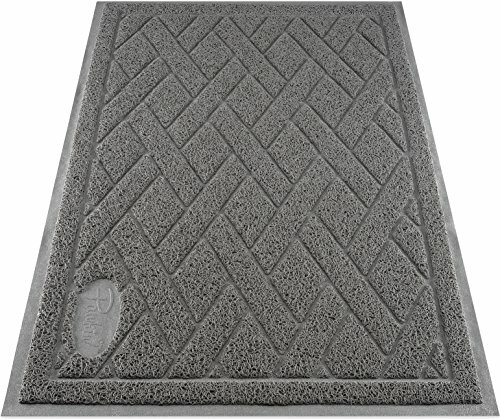 I want to discuss the types of cat litter I have tried and my opinions of those. I’m still comparing to find out the best cat litter for multiple cats who are indoors. What Should You Look For in Cat Litter? That’s not a joke. We all know “What to Look For in Cat Litter.” Haha. Ahem. But seriously folks, there are important features to be aware of when selecting the best cat litter for your indoor cats. Obviously, you don’t want the house to smell like cat poop. Ugh! So, you look for cat litter that masks the smell and dries up the cat droppings. Secondly, you want no litter dust floating in the air or litter tracking through the house. Thirdly, you want your cat to USE the litter box, since some cats are fussy about the cat litter box they will use. Basically, I’ve decided that the best cat litter review is my experience with my own cats. I’ve given my opinion of the types of cat litter I have used as a comparison below. My friend recommended me to use Feline Pine cat litter to start, since the cats were used to it. Since this is cat litter made from pine wood compressed into hard little pellets, when you put it into the litter box, it smells like pine trees! As time goes by, the pine smell is not as noticeable but it does a good job to mask the smell of cat urine and feces pretty well. One thing, though: pine litter dissolves into powder as the cats use it, and pine litter works well to absorb wetness and dry out the cat poop. My only issue is that the pine powder sticks to the cats’ paws and they track it around the house, and I’m always finding traces of pine litter anyplace the cats have walked. I’m constantly needing to vacuum up wherever the cats have tracked the pine litter. A large bag of Feline Pine can last three weeks or so, divided into thirds, so it’s economical. I find that the pellets are completely dissolved by the end of the week and I have to throw it out. Feline Pine is safe to flush in the toilet in small amounts. I wanted to try the walnut shells cat litter because I was tired of the cats tracking the pine litter all over the house. When I found cat litter made from walnut shells, I thought that this is a perfect renewable resource for cat litter, so I bought a bag of Blue Buffalo Naturally Fresh cat litter. The walnut smell at first seems a bit strong and it took some getting used to but it wasn’t bad. The walnut pellets are almost exactly like the pine pellets but they are dark brown; they dissolve into powder just like the pine pellets and get tracked around the house in the same manner. The problem is that now, instead of yellow powder on my carpet and furniture, and smudged in the bathtub, now there are BROWN pawprints everywhere! Because the cats use their box in my bathroom, the floor and white throw rugs always looked dirty. For this reason alone, I haven’t tried walnut shells cat litter since. Although–I do like the idea of using a renewable resource cat litter made from something that would otherwise be thrown away. Hmm. Last Christmas, I was in a shop in West Hollywood to buy a nice scented candle for my bathroom. I was chatting with the salesgirl and told her I have cats and want to make my house smell nice again. She commented that she kept candles around to mask the scent of her cats, but that she also had changed her brand of litter from pine litter to clumping clay litter. Dr. Elsey’s Cat Attract is the brand that was recommended to me, and I bought a bag as soon as I got home. So what are the pros and cons of Dr. Elsey’s Cat Attract litter? Well, the clay litter is very effective at trapping the moisture so that it turns it into a small chunk sort of like hard concrete, and it is very good to dry up the cat poops so they can be shoveled out. As for the negatives, I just found out the hard way that YOU CAN’T PUT CLAY CAT LITTER IN THE TOILET! I had been shoveling out the little turds and dumping them in the toilet, while the big chunks with the dried cat pee went into the trash. I feel silly about this, but I personally don’t like putting turds in the trash when there is a toilet nearby. What I learned: Never, ever put clay cat litter in the toilet! The tracking of Cat Attract litter is not so bad as the pine or walnut varieties, but you still have little pebbles around the sides of the litter box. My cats don’t like gravel on their paws so they often wash it off in the bathtub or in their water bowl, leaving gray smears. To be honest, I haven’t used crystal cat litter since I moved into an apartment. I used it exclusively when I had a house and an indoor-outdoor cat. The primary reason was that I needed something that would absorb the odor from my cat’s infrequent trips to her covered litter box, which we kept in a closet in a spare bedroom, out of the way of our two dachshunds. The dogs had a nasty habit of digging for nuggets in the litter box and leaving the droppings around the house. Total yuck! If you don’t have to worry about other pets getting into it or you keep the litter box in an enclosed space, I’d definitely recommend Fresh Step Crystals cat litter. Crystal cat litter is made from silica dioxide, which is a drying agent that is commonly used in packing material. It works very well and is good at absorbing smells as well as completely drying out the cat deposits. 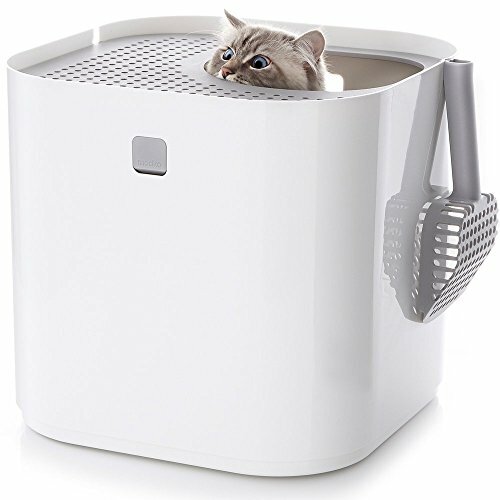 This is good in litter boxes that aren’t tended or used often. When Nature’s Miracle Brand cat litter was on sale instead of Feline Pine, I thought why not try it? 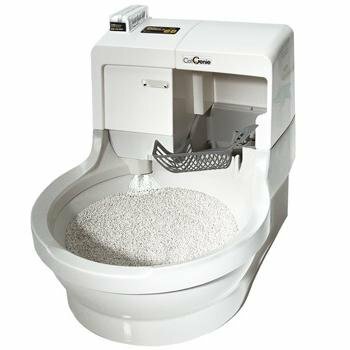 Corn-based cat litter has a consistency like regular cat litter so you can use the strainer scoop to take out the chunks. At first, it smells pleasantly like pine, so what could possibly go wrong with something made by Nature’s Miracle? I mean, Nature’s Miracle company is known for all those odor eliminator products to clean up pet urine smells, right? Well, one problem I found, is towards the end of the week, even with regular cleaning, the box smells like AMMONIA. It’s been six days since I put in new litter, and I can’t bear the smell any more. Now it’s more like pungent cat urine reminiscent of pine. Maybe I won’t be buying this one again, or maybe I’ll mix it up with another type of cat litter. You never know, because I really like the renewable resource cat litter idea. Your experience might be different. There are important things to keep in mind when you have cats that use a litter box. Pregnant women should never clean or change cat litter because of the danger of toxoplasmosis, a parasitic disease transmitted by cat feces. The litter box should be kept away from small children for the same reason. Keep the cat litter box out of the reach of other pets. Some dogs like to ingest cat’s poo, and especially in the case of crystal or clumping litter, there is the danger of intestinal blockage. Purchase a low-dust variety of cat litter to prevent inhaling the dust. This is especially important if someone in your family has existing respiratory problems such as asthma. Pregnant women and toddlers should avoid litter boxes. Keep dogs and other pets away from clumping cat litter. Use low-dust litter whenever possible to avoid making respiratory problems worse. Can cats be trained to use the toilet? I personally know of a few people who successfully trained their kitties to sit on the toilet to do their business. This takes time and patience, and preferably a second toilet so you’re not constantly having to move the training seat aside when you need to use the john! 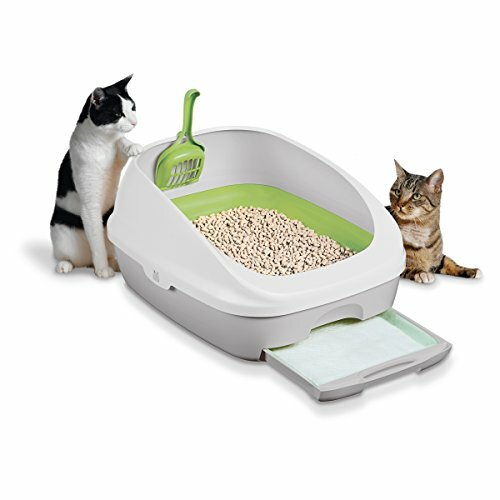 A popular type of training tool is the CitiKitty Cat Training Kit, which starts out as a shallow bowl insert with removable rings that you set on top of the toilet. 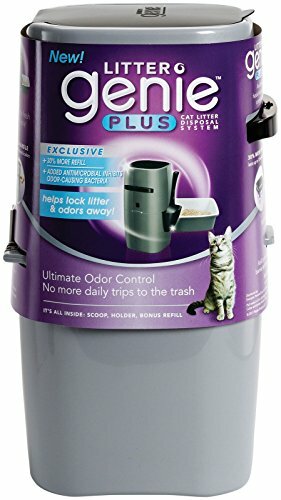 You first fill the insert with your favorite brand of cat litter and as your cat becomes accustomed to jumping on the toilet seat to do his thing, you remove the inserts one at a time so he makes his deposit right into the toilet. A-may-zing! I would love to train my cats to use the toilet but since I only have one bathroom, I’m not going to be able to try it out any time soon. Here’s a cute pic of my daughter’s Abyssinian cat, Lisa using the CitiKitty training insert. Isn’t that soooo adorable? So How Do You Get Your Cat to Use the Litter Box? The Best Rated Cat Litter Can’t Do it All! Now that we’ve talked about the best rated cat litter, you still have to get the cat to use the litter box! My cats are already established cat box users, so I discussed which cat litter a cat owner like me prefers but there are a lot of other factors to consider. Many cat owners are training your kitties for the first time, or trying to get them on track if they’ve stopped using their litter boxes for some reason. Because, if kitty’s not happy, ain’t nobody happy! My cats don’t seem to care if I change up the kind of litter in the box–that being said, many cats are fussy about their cat litter. Here is some information that might help. Select a product the cats will like (more on that below). Be sure to keep the litter box clean! Cats are naturally clean animals and if you don’t provide fresh litter, they will likely go potty elsewhere, like in your closet or in your shoes! Scoop out the clumps a few times a day and dispose of them. If using pine or walnut litter, change the litter once it all turns to powder. A good guideline is to change the litter weekly if your cats are using the box on a regular basis. Use the proper cat litter scooper: for pellets, you will need a shovel like a scoop; for regular litter, use a litter strainer or sieve. Put the litter box in an accessible but low-traffic area. Most cats are shy and want to go potty away from the public eye. Start with a litter that is known to attract cats. Dr. Elsey’s alternate name is “Cat-Attract.” My good friend adopted a cat that used to come to her back door for food. The cat was not used to doing his thing in a box so he did it anywhere he felt like it. My friend tells me that she ended up using Dr. Elsey’s Cat-Attract cat litter and that is how she got her cat to use the box. Try one of the scented cat litter varieties such as Fresh Scent to mask smells. As I said, my cats are not fussy, but yours might be. I’d suggest to try various kinds of cat litter to see what your cat likes best. Which Kind of Cat Litter Does Your Cat Like?